No room for a standard nightstand or bedside table in your small home? Well, while it may be tempting to try and squeeze in a tiny table, this isn't always the best approach. Small bedrooms can easily feel cluttered, and there's nothing worse than starting your day by tripping over things. It's far better to consider a more creative approach to the standard nightstand. Perhaps some shelves could be mounted on the wall or a spare chair could be stored and put to good use—these are just some of the alternatives we will explore today. So get ready to be wowed and check out our 8 favourite space-saving alternatives to the classic bedside table! If you're in the design phase of setting up the bedroom, this inset shelf might appeal. It gives this bedroom a seamless and sophisticated look, while the rich wooden hues add warmth. If you have some space but don't want to clutter it up with a permanent nightstand, consider multifunctional items. A spare chair could be put to great use like this. 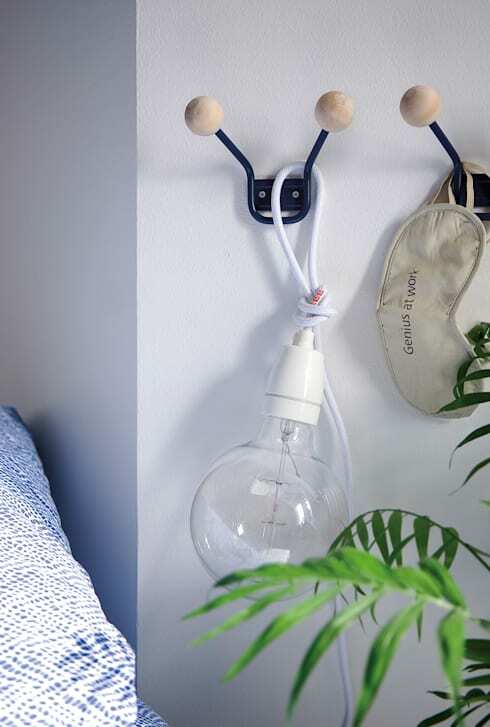 These awesome little hooks provide all the function and comfort of a bedside table without taking up too much space. See how the simple addition of a big globe turns this into a mini-style statement. This kind of nightstand option is great for those with a very narrow bedroom. 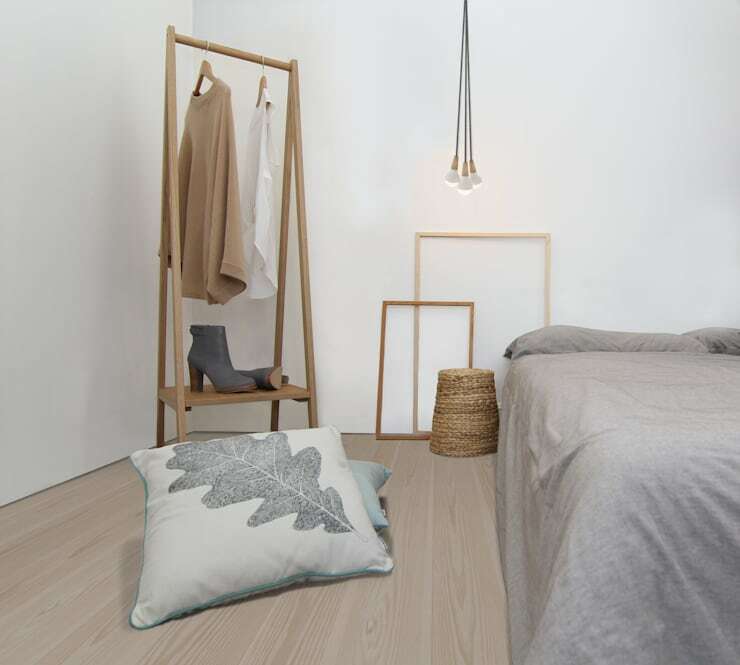 Just shift the bed forward, install a lamp and you have a headboard and nightstand in one. If you have a very small amount of space, consider a little round table. 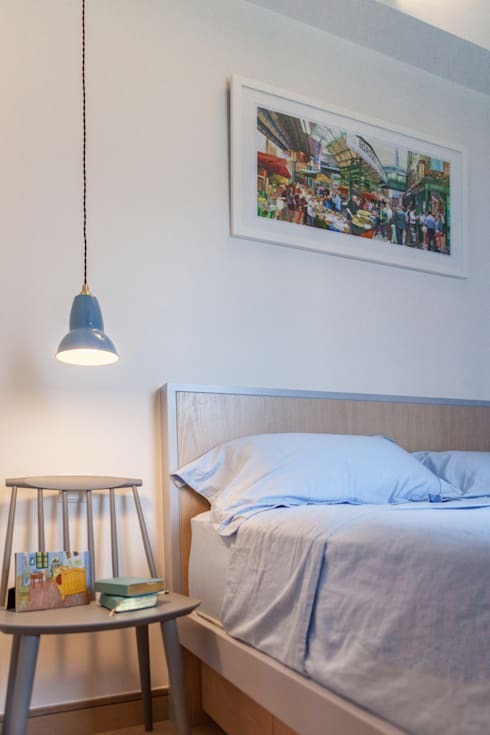 It doesn't even need to be big enough for a table lamp - just install a hanging pendant light instead. 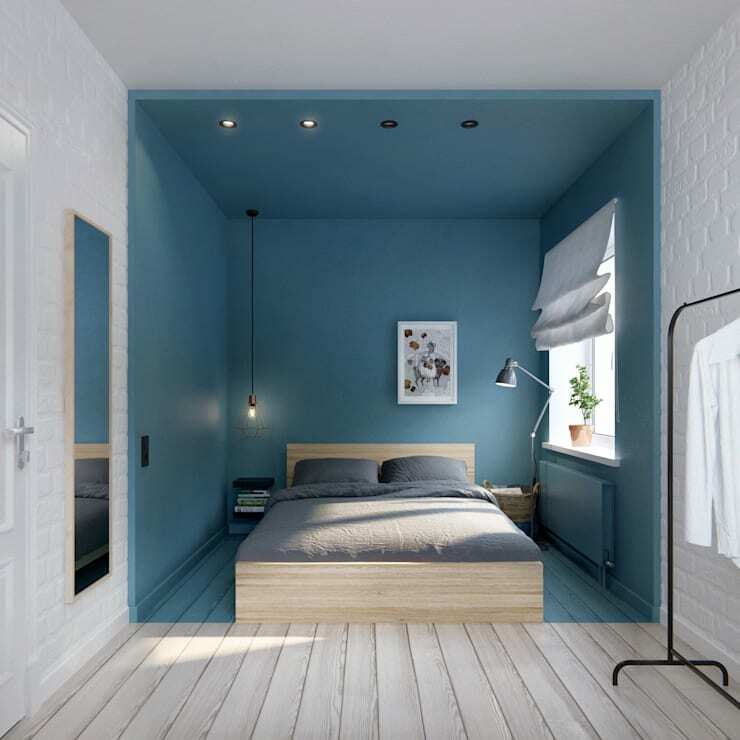 If the bedroom is small, chances are that the entire home is a little bereft of space. Perhaps a storage basket, some old suitcases or even a pile of books could suffice. 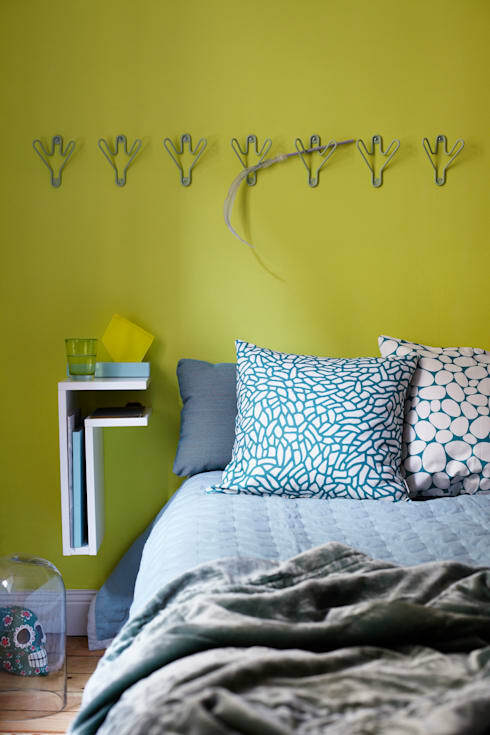 Use the wall space with a wall-mounted nightstand like this one from furniture and accessories professionals Maze Interiors. The L-shaped design creates a snug little place for your books and sort of hugs the shape of the bed. 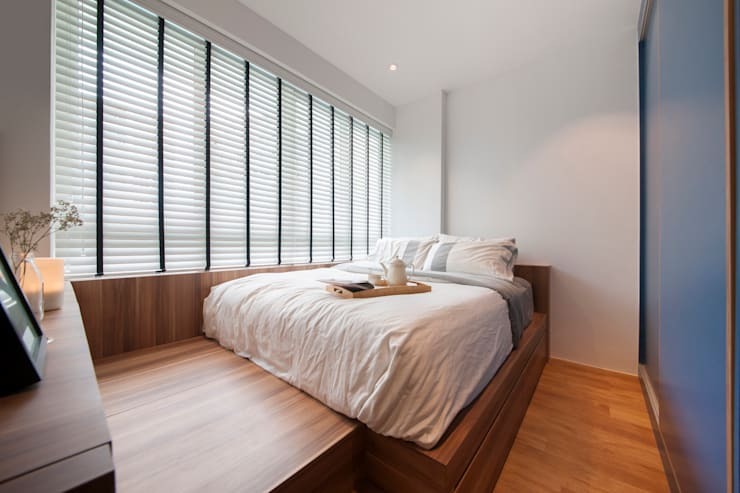 If the bed is jammed up right against the window, perhaps the window sill could be put to good use with some bedroom accessories. Then treat yourself to a fantastic serving tray so you can still have breakfast in bed! For more home storage inspiration, check out: 8 chic ways to maximise storage in your living room. Which of these creative nightstand ideas is your favourite?